Everyone has different lifestyle demands and in the current climate, multigenerational living is becoming more common, with young adults increasingly living at home longer. It may be that even three generations are living under the same roof at one time, so it’s important to have a home that works for everyone. A Miraval home is perfect for multigenerational living with spacious rooms, high ceilings and contemporary interiors that make it a pleasant space for all. Some homes offer ground floor master suites, providing a spacious master bedroom with its own seating area. The suite also provides a spa-inspired bathroom with a soaking tub, large walk-in shower, dual flush toilet, private water closet, walk-in his/her closet and modern décor throughout. These master suites are perfect for multigenerational lifestyles, offering a sense of privacy and space for individuals or couples when under the same roof as a wider family. 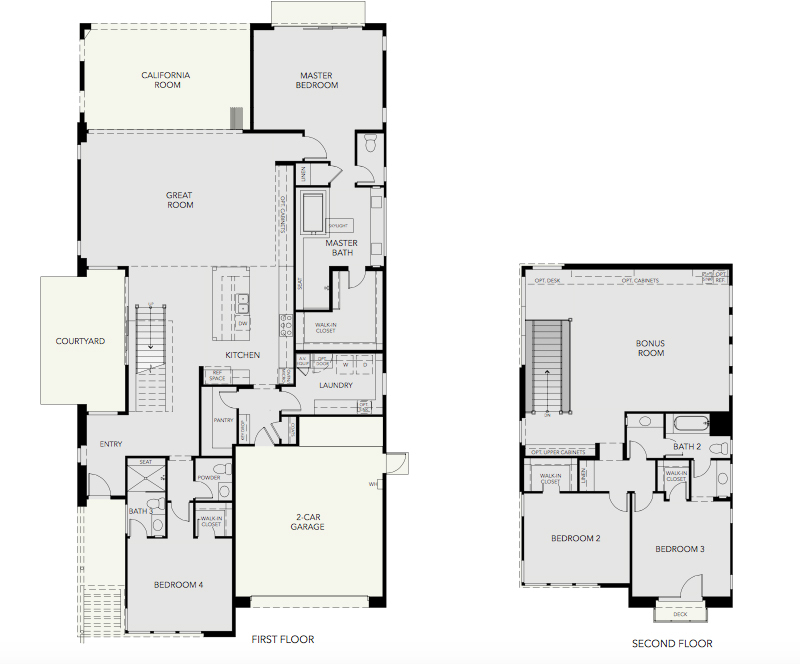 Miraval homes also offer large family kitchens ideal for entertaining. There is enough room for everyone and if more than one meal is being cooked at once, there is plenty of space and a GE stainless steel appliance package, providing plenty of cooking areas. Throughout the home, technology convenience is important with cable TV outlets in each room and USB outlets throughout the home for charging devices etc. No detail goes unturned in a Miraval house and whether it’s just you and your partner, or you have a family with three generations living under the same roof, our designs can work for everyone. Space, privacy and amenities are top priorities in our properties as we understand that everyone wants to feel comfortable in their home, whether it’s their forever home, or they’re waiting to move on from their family home. If you would like to find out more about the layout of a Miraval home and how it could benefit your multigenerational lifestyle, get in touchtoday! If you’re considering a Miraval home, you may want to know more about your new home builder and the team behind the design and planning! Miraval at Mesa Verde was created when leaders in the real estate, design and development industries came together. A unique and talented team was created and with that came the truly individual and modern communities of Miraval. We would like to introduce you to our hard-working team who make it all happen and provide you with the new construction home of your dreams. 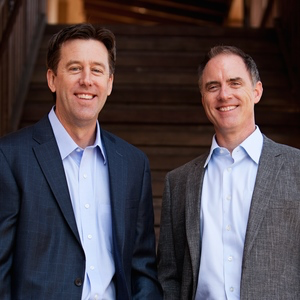 Robert Scanlan and David Kinnett, co-founders and principles of Pinnacle Residential come together to develop unique communities that are contemporary yet timeless. With more than 50 years of experience in residential development, their team thinks different to create innovatively and creatively. Pete Zehnder from Collective Housing Supply Co. has an exceptional track record for creating quality developments with a diverse range of ideas and inspiration. Valerie Torelli has specialized in helping clients buy and sell homes in Mesa Verde for the past 30 years. She was the obvious choice to represent Miraval homes as she has closed escrow on more than 2,000 homes and is the top agent in the area. Dahlin Group’s team of Nancy Keenan, Chris Fernandez and Ryan White create unique and stunning designs that give a nod contemporary trends in a way that will last for years to come. They bring mid-century and modern design influences to the table, and help to make each Miraval home have an exclusive wow factor. Our friendly team would love to work with you and help you become part of the Miraval community. If you would like to find out more about how you could own a Miraval home, or if you have more questions about our team, please get in touch. Working with a builder, you can choose a location and neighborhood that is suitable for you. There is a vast selection of available homes, or if you’re building from the ground up, you can choose your exact spot. When you buy an existing home, you may have to compromise on certain things on your wish list. However, if you opt for a new construction, you may have the option to customize certain features during the build. Choosing a new home for sale means everything is completely fresh and new, so maintenance and repairs won’t be needed for some time. A new construction home also comes with a warranty, so you will be covered if there are any defects or issues. New homes are ready for you to simply move in and start living, meaning there is no need for renovating and spending more money. Although you may be able to find old existing homes that need some TLC at a lower price point, by the time you have invested extra money to renovate and make the place feel like home, you may not have saved anything. Home builders often provide incentives to first-time buyers, so it may be easier than you think to get a designer home at a price you can afford! If you think a new construction home may be for you and would like to explore your options with Miraval, please get in touch– we’d love to help! Whether you’re a first time buyer, want to move to a newer property or simply need to upsize or downsize, a new build home is a great option. There are many new construction homes for sale that are ready to move into at just a moment’s notice. These new construction homes often come with great incentives for buyers, offering different promotions and payment plans. We have put together reasons to choose a new construction home. Maybe it’s the perfect way to buy for you! The great thing about a new construction home is there is no waiting for it to be built. It’s already there for you to simply sign the papers and move in! New construction homes are created to be sold quickly, so they are often equipped with attractive upgrades without the extra cost. If you find the home just before completion, you may even be able to tailor these upgrades to what you want. These types of spec homes are constructed to be moved into straight away and as builders invest their own money in them, they want to sell them quickly. If they have stood empty for some time, there is a chance you can request a lower price. New construction homes require very little maintenance. If you move into an older home, you may need to carry out repairs and ongoing maintenance, with a new-build home, you shouldn’t need to carry out this type of work for years. New construction homes are usually built in neighbourhoods with many good local amenities. By purchasing one of these homes, you are usually placing yourself in a prime and attractive location. The list of pros for new construction homes seems endless. If you are looking for a quick purchase that you can move straight into with little work and hassle-free, this is the perfect type of home for you. Finding the right builder for your new home construction is crucial when creating your dream home. Your home may be the one of the biggest investments you’ll ever make, so finding a new home builder who is experienced in the work you require is vital. If an amateur makes mistakes, they can be extremely costly and time-consuming, so it’s important to get it right from the start. We’ve put together our top tips to finding the right new home builder for you. Renovating and building is often a large job, but it can run smoothly and professionally if you find the right builder! What style home are you building? What is your budget? What size home are you building? You need to ask yourself all of these questions and make a clear brief of exactly what you need and want. Some builders may specialize in certain types of home and use particular materials that you would like to use. Once you have a clear plan of what you want, you can then begin to create a list of potential builders for your project. Ask around for recommendations, read reviews online and speak to different builders to find out if they are capable of carrying out the project. You can even ask to see examples of builders work to get an idea of what they have worked on in the past. Find out different quotes from different builders and what they include. It’s best to receive a detailed breakdown before you begin any work, so you can budget and not be stuck with unexpected costs once the build has started. When you have found a suitable builder who meets your needs, you then need to ask them questions to ensure they are the right builder for you. Take a look at our post listing some of the important questions you should ask a custom home builder. Why purchase a home at Miraval Mesa Verde? 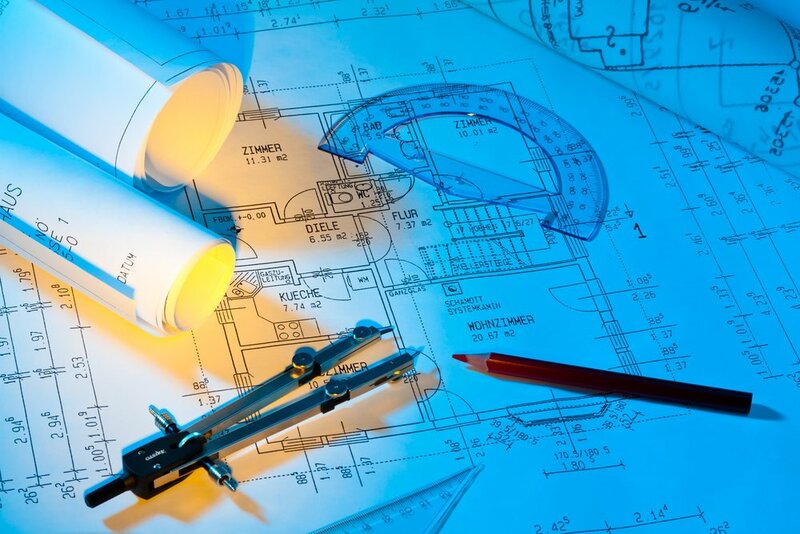 It starts with our modern home plans. Here at Miraval Mesa Verde, we create award winning and successful communities for those who want to live a modern coastal California lifestyle in an exceptionally designed home. Our luxury home plans give a nod to some of the best design influences in coastal southern California, and we are confident that our exclusive designs will be well loved. You may be wondering why you should buy a home at Miraval Mesa Verde and what our modern home plans can offer you and your family. We’re sharing reasons why considering a Miraval home could change your home life for the better! The heart of the home, the kitchen is a place for cooking, entertaining and enjoying family life. Our signature kitchens are complete with a GE stainless steel appliance package, a walk-in pantry, granite countertops, contemporary interiors and many more luxurious features. We design every Miraval home with unique and modern interiors perfect for everyday living. Throughout the home, ceilings are high and features such as a floating steel staircase and stylish slab ceramic flooring showcase contemporary-living at its finest. Each Miraval property has distinct modern architectural details, offering character, sophistication and style. Spacious rooms are ideal for entertaining and relaxing, while the ‘California Room’ has been created to open completely to provide the ultimate indoor/outdoor lifestyle. Technology is a crucial part of modern life, so each Miraval home is fully equipped for all of your tech needs. USB outlets throughout the home, numerous cable TV outlets and prewired rooms for wall mounted TVs. The master suite is your retreat at the end of each day to relax and unwind. At Miraval, you will have a spacious master bedroom, seating area, spa-inspired bathroom, stylish interiors and more. A Miraval home is built for now and the future with the environment in mind. Water saving plumbing fixtures, energy efficient lighting, highly efficient systems throughout and low VOC paints and finishes all make a difference towards living in a ‘greener’ home. We could go on all day about why you should purchase a Miraval home as the list is endless, however, if you would like to discuss the benefits with us further or find out if a Miraval home could be right for you –get in touch! “Mid-century modern” was an architecture, interior and industrial design movement that was in place in the States around the middle of the 20thcentury. Sleek and timeless, mid-century modern is quite rightly considered a classic look, to the extent that it is still emulated and referenced in new homes built today. In fact, many contemporary housebuilders are influenced by the mid-century modern style and it is becoming increasingly common to find mid-century modern homes for sale. In this blog we’ll be giving a few interior design tips to complement mid-century modern homes. You may want to go full-on mid-century modern with every piece of furniture, lamp and ornament in the room, but in fact one of the advantages of the style is that the simple and organic shapes blend in very well with pieces from other styles or periods; mid-century modern rarely clashes with other pieces. You can be as conservative or bold with color as you choose – the mid-century modern style encapsulated colors from across the spectrum, and varied throughout the period. Bright reds and other colors were popular in the Fifties, but by the Sixties more muted, earthy colors and pastels became more popular. Choose the palette that best suits your tastes. It often makes sense to stick to a more limited range of colors in any one room, but at the same time the simplicity of mid-century modern lends itself to a little more boldness, for example a room mostly done out in pastel colors but with a bright pop of color – a bright red lamp, say – in one corner. Another benefit of mid-century modern spaces – again, due to the simplicity of the designs – is that they lend themselves to accessorizing. Obviously you will want to avoid clutter – there’s no point in choosing a mid-century modern style home then cluttering it up with unnecessary stuff! That said, classy accessories such as plants, floor pillows, rocks or stylish candlestick holders can successfully accessorize this type of home design. A final tip for mid-century modern style interior design is to incorporate furniture of varying heights. For example, you can opt to have a low sofa and a low coffee table, but counter this by incorporating a tall credenza and an arc lamp to provide contrast and complete the space. Here at Miraval at Mesa Verde we pride ourselves on having designed and built contemporary homes influenced by mid-century modern designs, particularly those found in Santa Barbara and coastal Southern California. Our innovative but timeless home designs have won a prestigious National Association of Homebuilders Gold Award for Best Architectural Design in its class Nationwide for 2017, as well as an award for Best Architectural Design of a Detached Home priced $1.25 Million to $2 Million at the 2016 SoCal Awards. Our mid-century modern homes for sale at Miraval at Mesa Verde represent our passion for creating high-quality homes that are the pinnacle of architectural and design excellence. Contact us todayto discuss the opportunity to own a beautiful luxury home on phase two of our Miraval development at Mesa Verde. Once you have selected a custom home builder, there are some questions you should ask to ensure they are the right builder for the job. When you have luxury home plans made, you want to ensure everything runs as smoothly as possible and your custom builder is trustworthy and capable. Can I have a detailed quote? The last thing you want is to be surprised with unexpected costs. Ask your custom home builder for a detailed breakdown so you can keep a track of costs and budget throughout your project. What is included and what’s not? This question ties in with your detailed quote. You need to establish what is included in the quote throughout the work and what extras are not. Reputable builders should have insurance to cover you if anything goes wrong during the work. They should be able to provide proof and details of their policy so you can be confident you are protected if the worse was to happen. Find out if your builder is a member of a trade association and call the association to double check. This will give you peace of mind that your builder works in the correct conditions and to certain standards. A verbal contract before starting building work is not ideal. A signed contract can set out terms and conditions as well as quotes and responsibilities. Contracts protect not only you but the builder too. Find out if your builder uses other contractors and how often a site manager will visit your project to ensure everything is running smoothly. These are some questions you may want to ask your custom home builder alongside anything else about how they work, schedules, materials etc. It’s important to feel comfortable with your builder, so you can approach them at any time with questions, queries or concerns.